Back in Thyme, a vintage collection in the heart of Old Town Boulder City welcomes locals and visitors to a trip down memory lane. Well-known for the impressive array of vintage children's pedal cars and tractors parading around the top of our building, we often overhear folks pointing out to each other the one they remember pedaling. One of our most popular offerings is our wonderful line of country candles. You'll always find one of the chunky votives lit when you visit us. People comment on the scent when they come in and when they find out what they're smelling can be purchased...why the candles fly off the shelves! 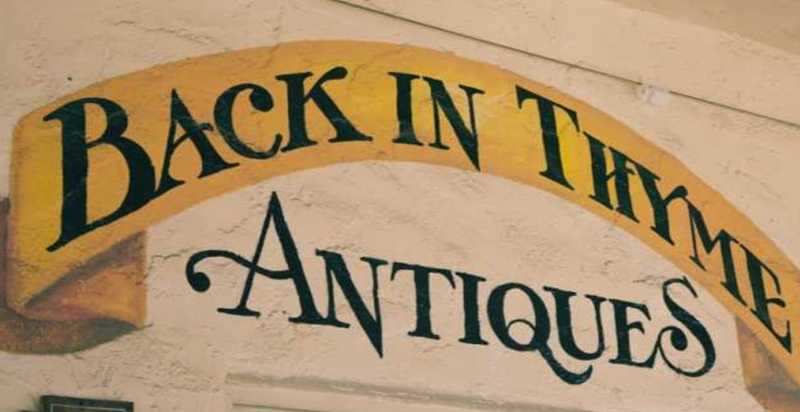 As with many antique shops, we buy and trade as well as sell in our shop. We are owner-run and can be counted on to go the extra mile in serving our customer's interests. So the next time you're in the neighborhood, take a moment of your day and step 'Back in Thyme'.